Debates have raged, judges have deliberated and the finalists for the 2019 Optician Awards can finally be revealed (see below). In total, 18 categories are up for grabs including new trophies for the Frame Stylist of the Year of the year, sponsored by Transitions and a Low Vision Award. Also joining this year are new sponsors in the form of ASDA which is sponsoring the Dispensing Optician of the Year category. The clock is now ticking down to the biggest night of the optical year, The Awards presentation, where the winners will be announced in a colourful night of 1980 nostalgia. 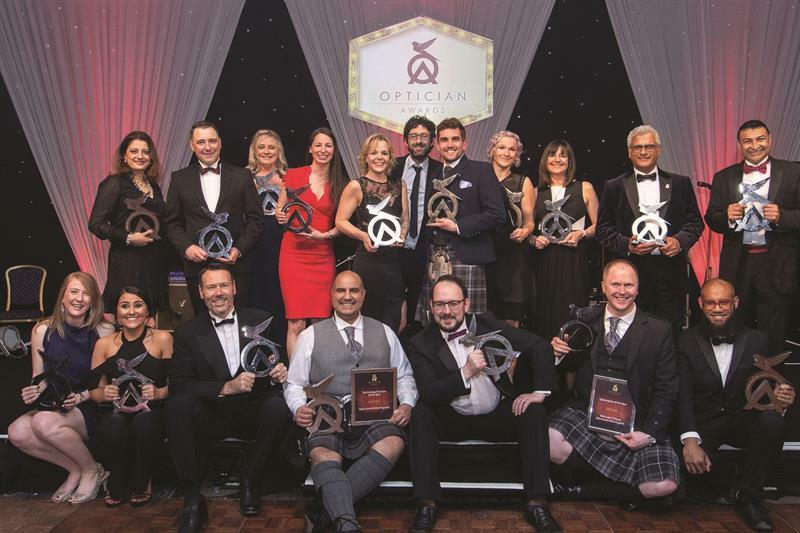 This year the Awards take the earlier slot of March 30 at the Hilton Metropole Hotel Birmingham on the Saturday night of the Optrafair weekend. Winning an Optician award is the pinnacle of many optical careers. The road to glory starts here and a full list of finalists (see opposite) have been selected following a thorough judging process and debate by our adjudicating panels. Close on 300 entrants completed a 1,000 word entry and provided supporting material creating a hefty workload for our judging panels. Optician would like to take this opportunity to thank them for all of their hard work. Optician would also like to congratulate all of those who made it through to a shortlist and remind them that they are cordially invited to a finalists party in the Jewel Bar on London Piccadilly Circus at the end of February.This is an opportunity for our shortlists to get to know one another over a canape and a drink without the feverish atmosphere of the Awards night itself. The black tie presentation ceremony takes place in the Palace and Library Suites of the Hilton Hotel next to Optrafair on March 30. Our stunning Art Deco trophies will be presented at a glittering evening of entertainment amid some 1980s nostalgia, fun and surprises. The evening will start with a reception sponsored by Scope. The 500 plus guests will go on enjoy a sumptuous three course dinner and treated to a stunning AV show. The presentation of the trophies will be overseen by a special celebrity host who will add to the theme of the night. Once the trophies have been presented there will be dancing to some of the best 1980s tunes and the chance to enjoy other 1980s fun. The night will also feature fundraising such as a game of heads and tails sponsored by Vivid and all of the money raised throughout the evening will be donated to Optician’s chosen charity for the awards which is Blind Veterans UK. Optician thanks everyone who entered the Awards, if you didn’t make it to a shortlist bad luck, competition was fierce - better luck next year.